Why are brackets appearing on numbers in my FS when they shouldn't be? 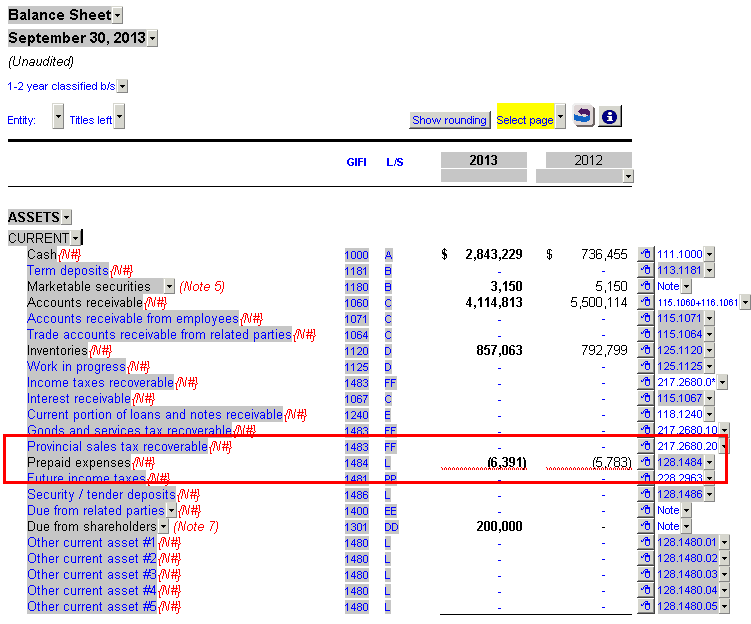 Occasionally you may encounter an amount in the financial statements with brackets where there should be none or vice versa. 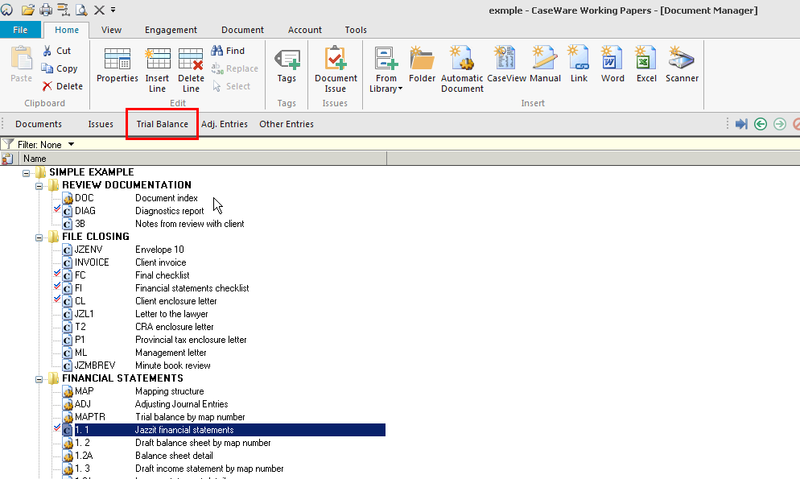 This usually indicates a sign issue in the CaseWare working trial balance. In the example below, the "Prepaid expenses" is bracketed when it should not be. 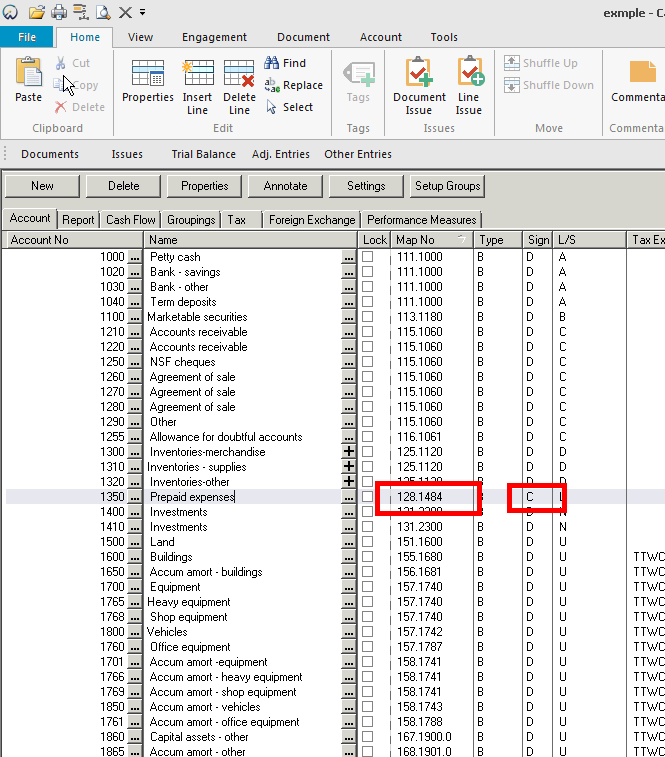 Click on Trial Balance on the CaseWare window. 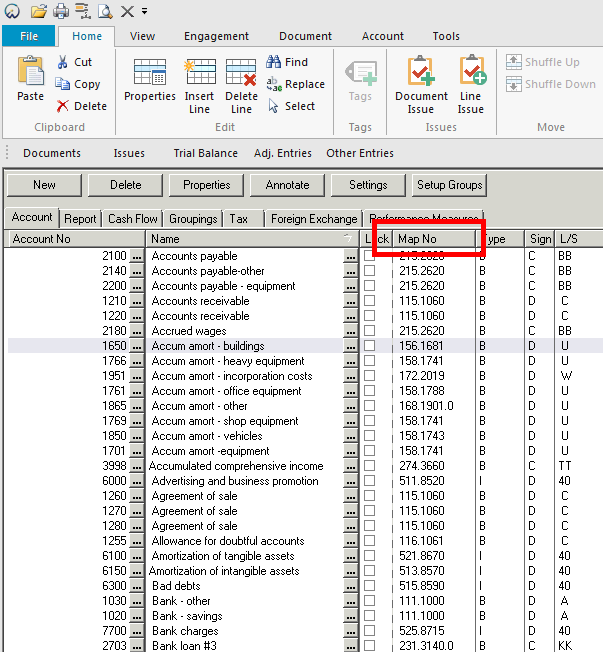 Click on the column heading entitled ‘Map No.’ to sort the accounts by trial balance map number. Scroll through the Trial Balance. Pay attention to 2 columns, Map No and Sign. The appropriate sign is dictated by the first digit in the account’s map number. For example, your Sales account is mapped to the map number 311.8000. The sign for this account should be a credit (C). Even if the mapped account is a zero balance, an improperly signed account will affect other accounts with the same map number. In this example, notice that the "Prepaid expenses" account with a map number starting with ‘1’ has been incorrectly set to credit (C) when it should be set to debit (D). Click on the ‘C’ to bring up the dropdown and select debit (D). 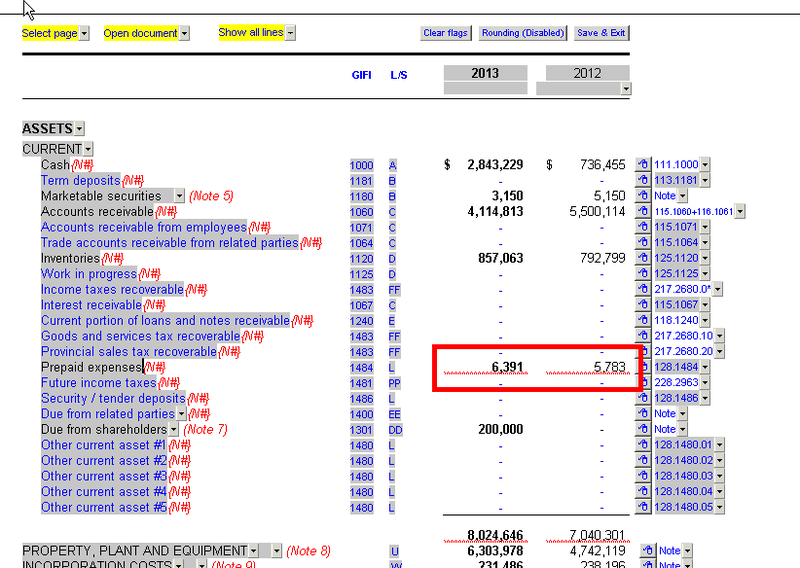 Return to the financial statements, the "Prepaid expenses" correctly displays now with no brackets. An alternative method to fix the above issue is to use the Autofill function in CaseWare. This is particularly useful if you have many mapped accounts that have an incorrect sign. In the Options window, click Autofill. 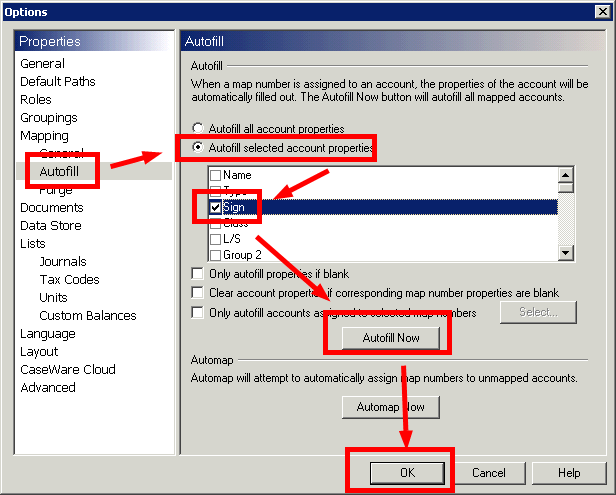 Select the radio button titled “Autofill selected account properties”. Check off ‘Sign’. Then click the ‘Autofill Now’ button. Then click ‘Ok’. 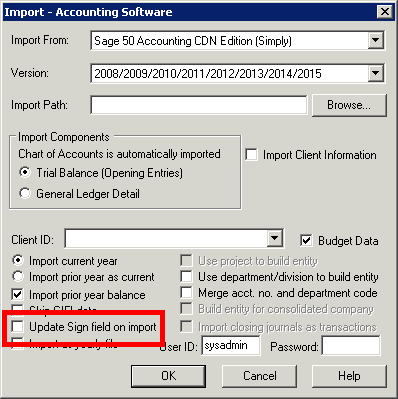 A common reason for accounts getting incorrect signs is from the process to import trial balances from Sage (Simply Accounting). By default, CaseWare will change the sign on the account based on what it is set to in the Sage file. 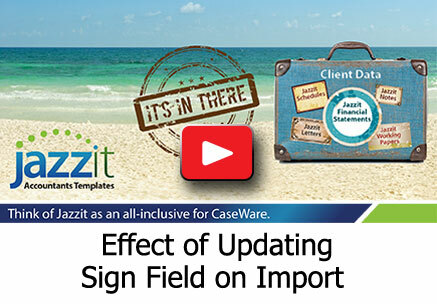 When importing, make sure the ‘Update Sign field on import’ is unchecked. This will keep the settings in the Sage file from changing the settings in the CaseWare file.